On April 12, a team of researchers headed by Eric Brandt, a cardiologist at the Yale University School of Medicine, reported the results of a natural experiment. Ten years earlier, the New York State Department of Health had restricted the sale of foods containing trans fats in 11 counties. At the same time, it didn’t restrict trans fats in 25 other counties. All of the counties included in the study, eight in JAMA Cardiology, were highly urbanized. The results were predictable: Researchers found that restricting trans fats caused a 7.8 percent decline in the incidence of heart attacks. Because more than 8 million adults lived in the counties with restricted trans fats, thousands of lives were saved. Although clinicians have long debated the relative value of various foods, one issue has never been debated: Trans fats are without question one of the world’s most dangerous food products. Not only do trans fats dramatically increase very low-density lipoprotein (vLDL, or “bad cholesterol”); they dramatically decrease high-density lipoprotein cholesterol (HDL, or “good cholesterol”). For that reason, in 2006, an article in the New England Journal of Medicine declared, “On a per calorie basis, trans fats appear to increase the risk of coronary heart disease more than any other macronutrient.” The Harvard School of Public Health has estimated that trans fats have caused about 250,000 heart-related deaths a year in the United States. Why did it take so long for Americans to realize the harm of trans fats? We’ll start at the beginning. In 1913, Nikolay Anichkov, working in Czar Nicholas II’s Military Medicine Institute in St. Petersburg, Russia, found that rabbits fed large quantities of milk and egg yolks—foods rich in cholesterol—developed blockages in the arteries supplying blood to the heart (a disease called atherosclerosis). Eat less cholesterol, said Anichkov, and you’ll live longer. In the mid-1950s, Ancel Keys, a world-renowned nutrition expert, argued that cholesterol wasn’t the only problem. Keys found that residents of countries that consumed greater amounts of fat, like Finland, had a higher incidence of heart disease than countries whose people consumed lesser amounts of fat, like Japan and Greece (Crete). Keys coined the term “heart healthy” diet, urging Americans to stop eating butter, which contained animal fats, and start eating margarine, which contained partially hydrogenated vegetable oils. Margarine became the “heart healthy” alternative. Eat less fat, said Keys, and you’ll live longer. During the next 20 years, three major studies involving 300,000 people and costing more than $100 million determined the relationship between dietary fat and heart disease. The answer: There wasn’t any. Keys had been wrong about dietary fats because he had assumed that all fats were the same. He hadn’t accounted for the different types of fats—specifically, saturated fats, unsaturated fats, cis fats, and, most important, trans fats. In the years that followed, Americans would pay a high price for this ignorance. By the early 1980s, several studies had shown that saturated fats increased the risk of heart disease. These studies gave birth to the notion that unsaturated fats were good and saturated fats were evil. The partially hydrogenated vegetable oils in margarine and cooking products like Crisco, for example contained unsaturated fats. Again, the mantra had changed. Eat less saturated fats, and you’ll live longer. Trans fats are unsaturated fats. They’re created when hydrogen atoms are purposely added to unsaturated vegetable oils: a process called hydrogenation. The end product is typically referred to as a “partially hydrogenated vegetable oil.” The designation partially means that the product isn’t fully saturated or, said another way, is still unsaturated. It also means that the product is loaded with trans fats. In the 1980s, partially hydrogenated vegetable oils became the single most popular product for all baking and frying. Two events launched the partially hydrogenated vegetable oil (trans fat) industry. In 1956, Congress passed legislation to build the Interstate Highway System. Fast-food restaurants like McDonald’s, Burger King, Taco Bell, and Chili’s spread across America. Because partially hydrogenated vegetable oils have a long shelf-life, cookies, french fries, fried chicken, and fried fish could now be transported without preservation. Two years later, in 1958, Congress passed the Food Additives Amendment, which was intended to protect Americans from potentially dangerous additives. Unfortunately, because food additives used before 1958 (like partially hydrogenated vegetable oils), didn’t require FDA approval, trans fats had been grandfathered in. In 1981, a group of Welsh researchers published a paper claiming that the trans fats contained in partially hydrogenated vegetable oils were linked to heart disease. In 1990, two Dutch researchers published similar findings in the prestigious New England Journal of Medicine. In 1993, Harvard researchers showed that if people replaced just 2 percent of the energy from trans fats with other unsaturated fats, they could decrease their risk of heart disease by 33 percent; another study showed that the same decrease in trans fat intake could lessen the risk of heart disease by 53 percent! Unlike studies of total fat, total cholesterol, and unsaturated fats—where findings had been contradictory or inconclusive—no researcher has ever published a paper showing that trans fats are anything other than one of the most harmful food products ever created. On July 10, 2002, the Institute of Medicine (IOM) stated that no amount of trans fats were safe, recommending an “upper intake level of zero.” At the time, 95 percent of cookies, 80 percent of frozen breakfast foods, 75 percent of snacks and chips, 70 percent of cake mixes, and 50 percent of cereals contained trans fats. On Jan. 1, 2006, the U.S. Food and Drug Administration required manufacturers of packaged foods to list the quantity of trans fats on every Nutrition Label. By the end of the year, 84 percent of Americans had heard of trans fats. By 2008, the amount of trans fats in prepared foods had decreased by half. By 2012, trans fats had been eliminated from an estimated 10,000 products and had been banned from restaurants in at least 13 U.S. jurisdictions. New York City, for example, asked 20,000 restaurants and 14,000 food suppliers to eliminate partially hydrogenated vegetable oils containing trans fats. Starting next summer, the FDA plans to prohibit food makers from adding trans fats to cookies, crackers, and microwave popcorn. If what happened in New York State is any indication, the FDA’s long-awaited action will save millions of lives. 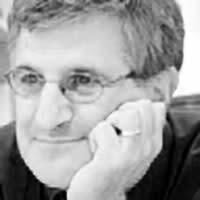 Paul A. Offit is a professor of pediatrics and director of the Vaccine Education Center at the Children’s Hospital of Philadelphia and the author of Pandora’s Lab: Seven Stories of Science Gone Wrong (National Geographic, April 2017).